What more fun one can expect when he/she is hundreds of kilometers away from home, enjoying the new place on a set of powerful two wheeled machine and roaming around every important destination like you were born for this.If some instances are keeping up with your holiday routine, you must be one traveller soul like Sagar KV. He got addicted to this riding bug when he was just 21. 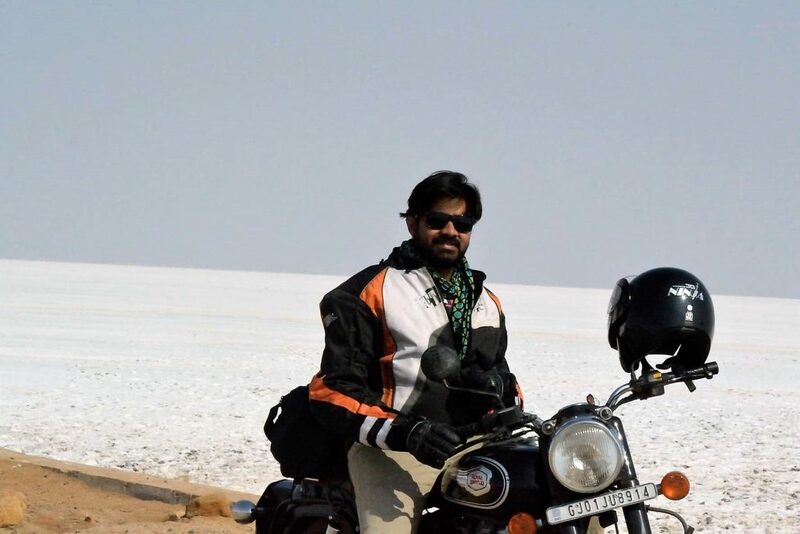 Before going solo on such long trips, he tried few times with riding groups but, failed to get the feel that was exclusive when he was alone for an expedition. Not a bad idea at all as driving alone brings the sense of knowing yourself in the best possible way. 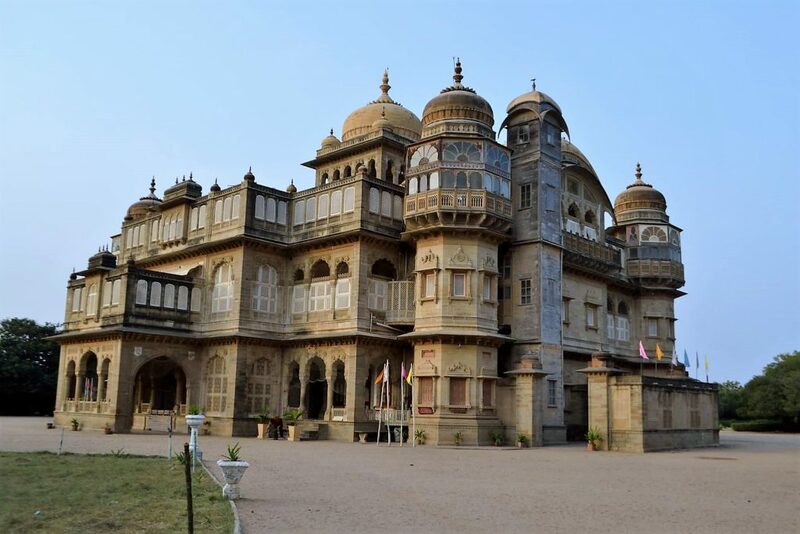 By planning a week off from everything, Sagar pinned on Gujarat as his next destination. He believes in collecting facts and routes before leaving as relying on devices is not his way of dealing with the routes. He shortlisted the distances and planned every step that he will take through his entire Gujarat journey. 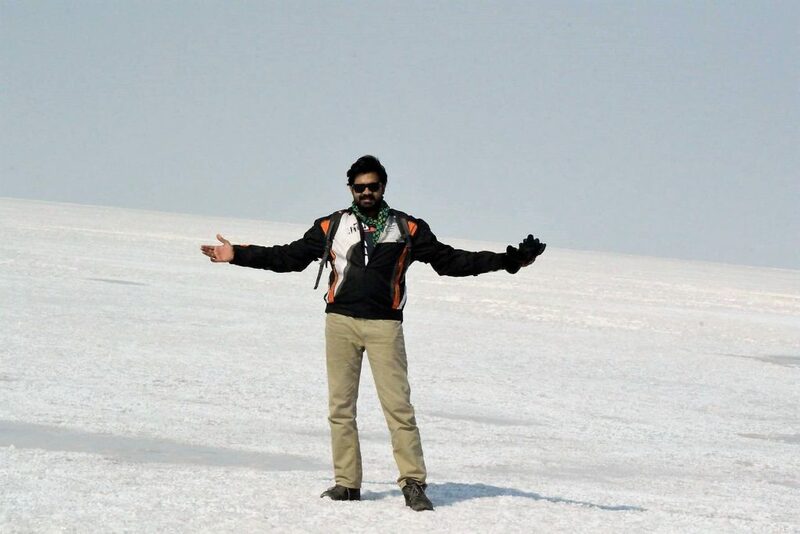 It took him 2100 kms to explore the state by spending around INR 26,000 on his fully self financed trip. Also, he chose a rented Royal Enfield Bullet 500 from Gujarat to make things easier than ever. Being a foodie helped Sagar a lot as he was lucky to taste almost every specialty of Gujarat without thinking too much. 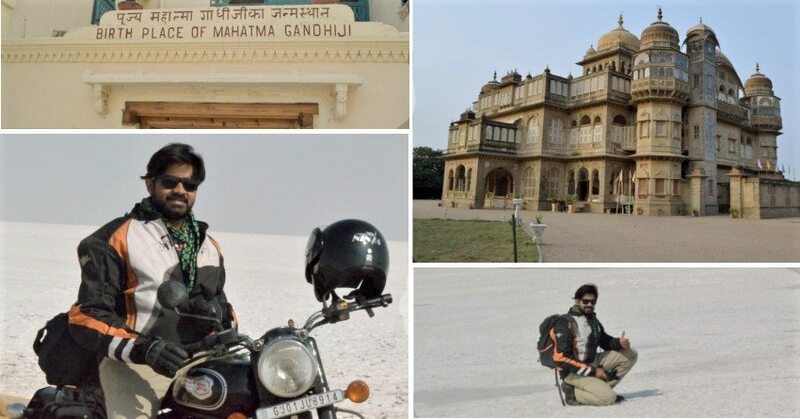 He took a flight from Bengaluru to Ahmedabad and rode from the destination to Bhuj (340 kilometers) on his first day. 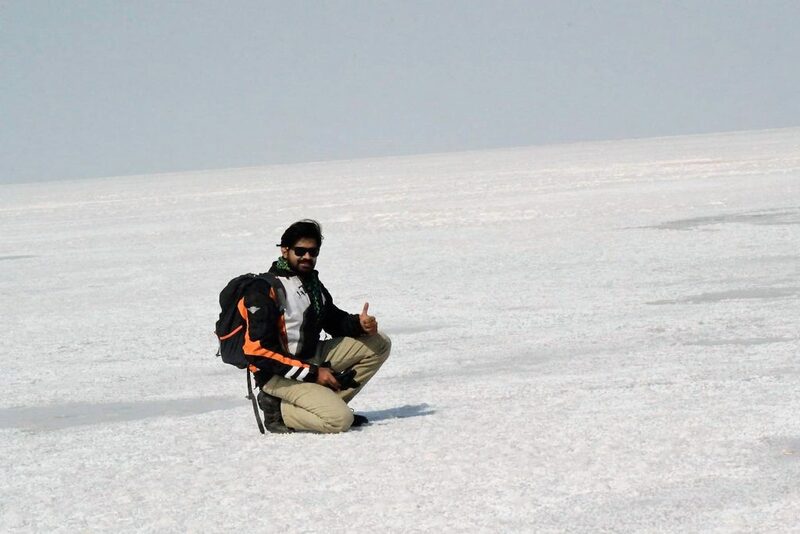 He went on to explore Bhuj that day and reached Rann of Kutch next day after travelling 105 kilometers in the morning. 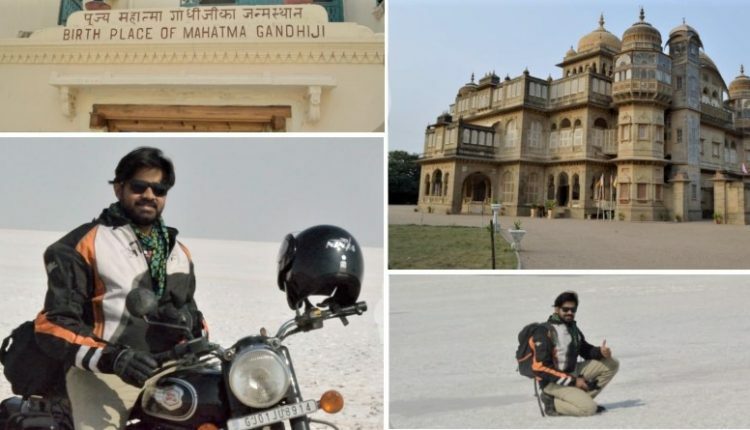 From Mandvi, he rode 450 kilometers to Dwarka and explored the ancient city of temples. Next day was a ride to Porbandar while Somnath and Sri Ram temple were his his next day destinations. 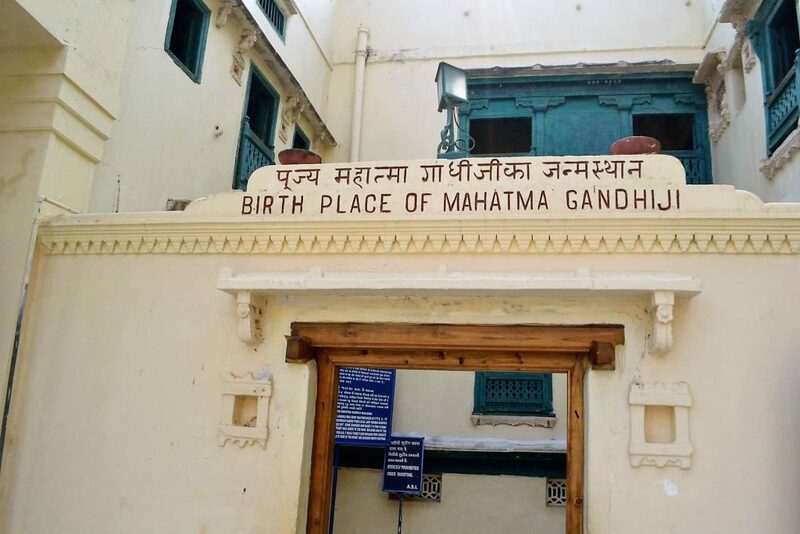 He went to Diu and after staying for one night, went back to Ahmedabad and explored the city next day. After leaving the Bullet 500 back at rental office, he took a flight to Pune and summed up his explorations.